It’s not a secret that modern users prefer to surf the internet using mobile phones. This is a reason why desktop traffic has been steadily declining since 2016. Google identified this trend and decided to use mobile-first indexing. As a consequence, the websites, which didn’t have high-quality mobile versions, lost an opportunity to appear in the top of search results. Fortunately, there are enough tools in the digital world, which can help to fix this issue. If you are looking for a way, in which you can make your WordPress mobile-friendly, check the following tips. When users go mobile, web-developers should change their priorities. There is no sense to design an ordinary website first and then try to make it mobile friendly. A mobile-first approach is a wiser solution, which can help to save a lot of time and money. It allows creating a UX design and building content strategy specifically for small screens. 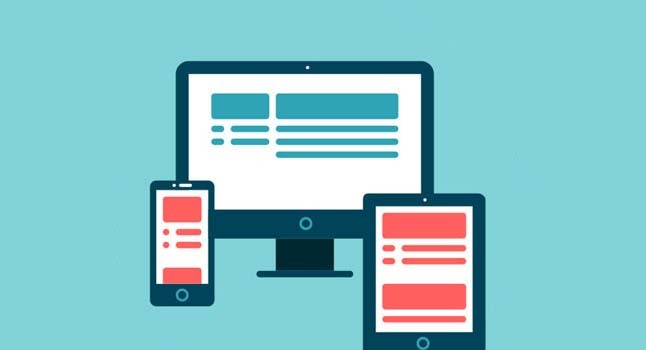 When a mobile version is ready, designers can finalize development of a regular desktop website. Due to the fact that Google uses mobile-first indexing, this approach can significantly optimize a website. It ensures that there is an equal quantity of content on both: mobile and desktop pages. As a consequence, it substantially improves the website’s ranking. Most of the modern Word-Press themes are mobile-friendly. Developers have already optimized them, so they render perfectly on mobile devices. If you want to change the old theme of your site to a new one, you can find a responsive layout on the internet easily. Take into account that you should select a very specific theme, which will perfectly match your content strategy. The fewer pages and content you are going to add, the simpler design of the key elements should be. When you will search for a new theme online, you should look through the mobile versions first. And don’t hesitate to test the chosen layout on different screens before buying it. Make sure that it will fit the criteria of both: Google and the users. Another way to make your website mobile-friendly is to utilize specific WordPress plugins. They will help you to customize a design of mobile version in the way you like, while desktop version will stay absolutely intact. In other words, you if you don’t want to change your original website and need only to improve the mobile page, this is a great solution for you. Plugins like Touchy and Superfly can eliminate numerous issues related to mobile website navigation. They can help to remove extra clicks, to display control for different pages, and to create a stylish menu. As a result, a website will look beautiful on the screens of any sizes. If you use pop-ups effectively on your desktop version, it doesn’t mean that you can use them on a mobile website as well. In fact, full-screen pop-ups significantly worse user experience and dramatically increase bounce rate. When people see annoying ads instead of useful content, they can do nothing but to leave a website forever. In case if pop-ups are an integral part of your marketing strategy, you should use them very carefully. First of all, you should make them pretty small and allow a mobile user to see at least part of your website behind them. Also, pop-ups shouldn’t appear in the first seconds. It’s better to show pop-ups after 30 seconds, or when a visitor decides to exit from a page. Keep in mind that pop-ups will bring great results, only if your website is able to provide a real value to the users. Images are important for any website, but if they are not optimized, they can worse performance of mobile version. Your task is to compress byte-heavy visuals and make them load as fast as text and HTML. You can do it in numerous ways: using online image editing tools, WordPress plugins, and even good old PhotoShop. However, a fact that visuals should be small in size, doesn’t mean that you can use poor-quality photos. You should be very careful and try to find a golden middle between the page’s aesthetics features and performance. When you want to optimize your mobile version, you should get rid of all visual elements, which are beautiful, but useless. They will not help you to engage the visitors, but only slow down the loading speed. Well, there is no one perfect menu example, which everyone can follow. Websites have different structures and different content, so developers have to come up with original solutions. If a website has a huge menu in a desktop version, it’s pretty hard to squeeze it to a size suitable for a mobile website. In this situation, you have two choices. The first one is to simplify your current menu and make it work on small screens. The second one is to improve your mobile menu with the help of plugins without incorporating any changes into the major desktop version. As you can see, there are a lot of modern tools and plugins, which can help to create a mobile version in a hassle free way. Whether your website consists of one page or of hundred pages, you can make it readable on the small screens. But keep in mind that you should continue to work on optimization. You should check your website performance regularly to make sure that it runs fast enough even when the internet connection is poor. Keep watching the web design trends and update your site, when necessary.